Genesis Casino is licensed by the UK Gambling Commission and the Malta Gaming Authority and offers 18-hour support via telephone, live chat and e-mail. Ohhh man, this casino is sooooo coooool! Any website that nails the visuals is naturally going to lure you in, and with Genesis’ radiant, sophisticated purple livery and awesome space theme, it’s almost impossible to not be tempted in. But Genesis doesn’t have all the gear and no idea. Navigationally, the site is superb with its hand burger menu bar in the top left corner making every page accessible with just two clicks, plus the game filters are obvious and abundant. Genesis Casino really do offer an otherworldly experience. Genesis has most of the popular payment methods out there including Visa, Mastercard, Boku, paysafecard, Skrill, Neteller, ecoPayz, Trustly and entropay. The minimum withdrawal and deposit amount is £10. The maximum deposit limit is £5,000 per transaction and the withdrawal limit is £1,900 per transaction. Genesis is home to an astronomical amount of games with over 1,400 currently available, and that’s not 1,400 rubbish games, that’s 1,400 of the best. 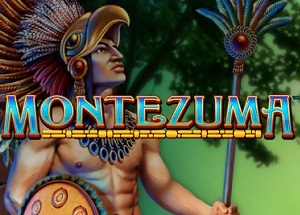 The popular slot titles like Starburst, Gonzo’s Quest and Book of Dead are all there. There are live casino tables on everything you can imagine. 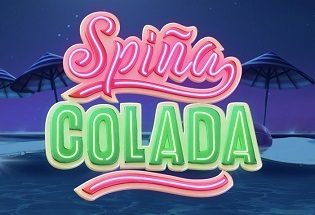 There’s the millionaire-making slots like Mega Moolah and Mega Fortune. And even instant-win games too. So. Much. Goodness! Well, what a mark Genesis have made upon the online casino landscape. Created in 2018, Genesis have created a casino which truly rivals anything out there. 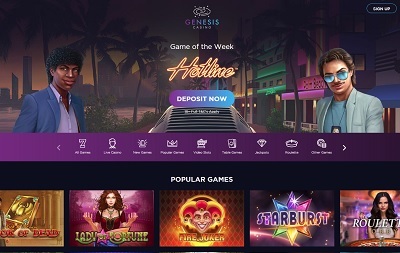 From its beautiful design and visuals to its mammoth choice of quality games to its excellent banking methods; Genesis hits all the key features with aplomb. Perhaps a 24/7 customer support team would be handy, but that’s literally the only thing letting this marvel down. Genesis is a truly wonderful casino.